Our mooring ropes are soft, yet strong and have very low stretch. 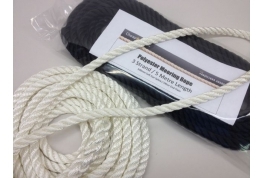 Manufactured from 3 strand polyester ropes, our mooring ropes are available in 5 and 10 metre lengths from stock but custom length mooring ropes can be made within a couple of days from order. Available colours are Black, White, Navy, Burgundy and Buff. As a standard our polyester mooring ropes have a 500mm soft eye splice at one and are plain on the other end, again this can be customised if required. 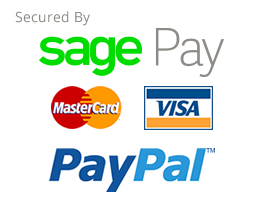 "We can manufacture mooring ropes to your own requirement - please give us a call if your require a different length or material." Polyester Mooring Ropes - 12mm. 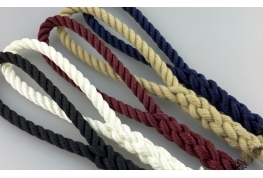 Our polyester mooring ropes are made here in Rochester from high quality polyester rope. Benefiting from high break loads and low stretch properties. Complete with a 500mm soft eye splice on one end and heat sealed at the other end. Mooring Ropes - Polyester 14mm Diameter. All mooring ropes are supplied with a 500mm soft eye splice on one end and heat sealed on the other end. Made by Cheap Rope here in Rochester we can produce any length requirement - standard lengths from stock are 5 metres and 10 metres. Available in Black or White.